We built a blog and a wiki (since I don’t care to make them robust to spam, I won’t share them here, sorry). It was a very worthwhile introduction for me! 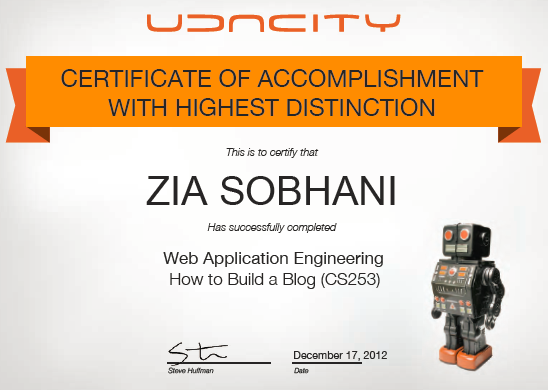 This entry was posted in Google App Engine, Udacity on December 18, 2012 by Zia.